First up, we ask some big questions: How are schools and districts preparing students for future opportunities? 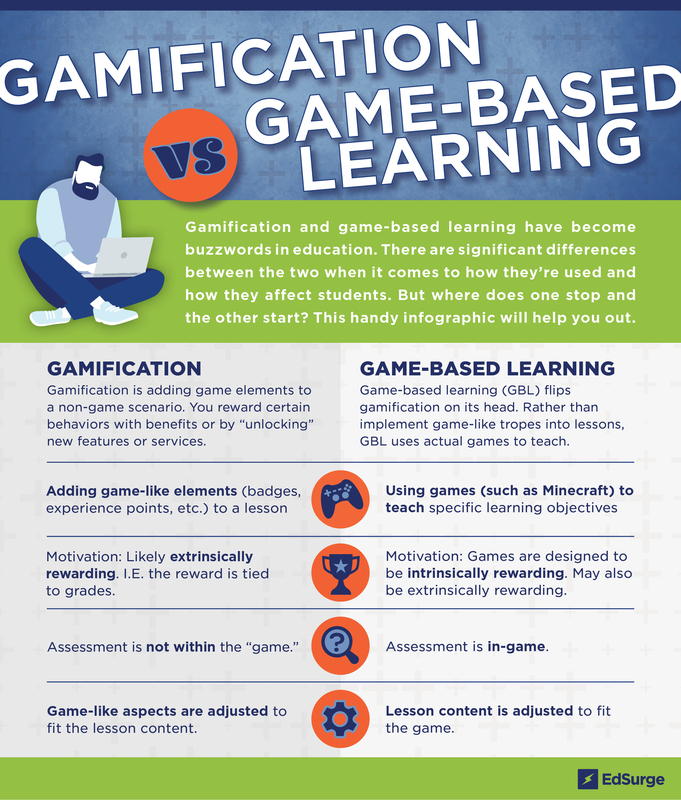 What is the impact of game-based learning? Ready to be inspired by what’s possible? In this section, we explore how educators are using classroom gaming to reinforce skills and expand students’ learning—as well as their own. It’s time to make a game plan. Below you can search for lesson plans, watch tutorials, and discover tips on teaching with Minecraft. We’ve included advice for all kinds of classrooms—including those serving English language learners, special-ed students and more. The stories below highlight some of the people on the frontlines of game-based learning—Minecraft Global Mentors. See how these innovative classroom teachers use Minecraft: Education Edition to create challenging, fun and immersive learning experiences for their students. Christopher Stuart is a PhD candidate at Clemson University in the Rhetorics, Communication, and Information Design program. Chris has taught both ENGL1030: Composition and Rhetoric and ENGL3120: Advanced Composition using game-based learning with a specific emphasis on Minecraft: Education Edition and the Code Connect program. His dissertation, “Rhetorical Invention in a 21st Century Technoculture: A New Ludic Framework for Learning,” focuses on providing a learning space that embraces elements of play and failure to facilitate a challenging and rewarding classroom experience. "Game-based learning is often said to improve engagement in the classroom, but I’m more interested in investment. Game-based learning provides the opportunity for personalized learning, creative problem solving and a challenging experience that promotes both playful thinking and experimentation by confronting failure and adversity which increases investment in learning." Kyriakos Koursaris holds a Music Education & Didactics degree and a Master of Choir Conducting from Charles University in Prague. In 2008 he discovered his real passion, which is educational technology. He works as Head of Technology at PaRK International School in Lisbon, Portugal, where he administers and facilitates technology-rich teaching and learning, guides collaborative curricular innovation as well as faculty and staff training/support, and ensures system service, reliability and consistency. Kyriakos also teaches the IGCSE Computer Science course in Y9 and has worked as a music teacher for almost a decade in grades K-7. He has been honored to participate as a speaker in national and international forums such as the parliamentary conference "Tecnologia e Pedagogia: O que ensinar? Como ensinar?" at the Assembly of the Republic, EDU Day '18, the #MakeWhatsNext: Changing the Face of STEM regional event, BETT 2018, the Annual EUDojo17 Event held in the European Parliament in Brussels, as well as the ECIS Annual Educators Conference 2016. At his school, Kyriakos has successfully implemented the use of Minecraft in the curriculum through a weekly workshop called “Minepark” and has pioneered the platform's educational use on a national level. For his contribution to connected and game-based learning he was recognized as an MIE (Microsoft Innovative Educator) Expert and Fellow, as well as a Minecraft Global Mentor. "GBL helps us redefine learning and build stronger relationships between teachers and their students. Students are more motivated to participate in school activities and projects, and they feel more creative and take a more positive role to support each other. With tools such as MinecraftEDU at our disposal, we are not teaching students to be gamers, we are teaching gamers to be students." Joana Simas has been a Portuguese Primary and Preparatory teacher since 2009 and holds a Primary Teaching degree and a Masters of Primary and Preparatory Teaching in Math, Science, Portuguese, History and Geography. Since 2015, she has been teaching History and Geography of Portugal at PaRK International School. She has been a Teach Coach since 2017. In 2016 she was honored to participate as a speaker for two projects with her colleagues at ECIS Annual Educators Conference – Cultivating Curiosity (Copenhagen, Denmark). In 2017 she was recognized as a Microsoft Innovative Educator Expert (MIEE) and in 2018 as a Minecraft Global Mentor. In 2018 she was distinguished as one of the ten finalists of the Global Teacher Prize Portugal. "I’m a Portuguese and Universal History and Geography teacher with a passion for teaching and project-based learning (PBL), as well as using technology in the classroom. I’ve been using and trying multiple apps throughout these years with my students, but our personal favorite has become Minecraft. I follow a student-centered pedagogy, based on PBL and flipped classroom, and I integrate technology in the classroom naturally and effectively. My students explore History contents not only by learning the historical facts and concepts but also by applying that knowledge and recreating it in Minecraft." Steven Isaacs is a teacher at William Annin Middle School where he uses his expertise in technology and game development to teach Game Design and Development to 7th and 8th graders. He teaches a 7th grade six-week cycle course in Game Design and Digital Storytelling and an 8th grade full semester elective in Game Design and Development. He is also involved in research on XR (Virtual, Augmented, and Mixed Reality) in the classroom where his students have opportunities to explore high end Virtual Reality and create content for XR. Prior to his current role, he taught Special Education to students with Developmental Disabilities at Mount Hebron and Glenfield Middle Schools in Montclair, NJ. During his years in Montclair, Steve and his wife Cathy opened Liberty Corner Computing, a technology training and gaming center where they created innovative programs with a focus on creative uses of technology including game design, website design and game based learning, and they operated a LAN gaming center providing a social outlet for like-minded kids. Steve is very involved in the game-based learning, edtech, and XR communities. Building and leveraging the expertise of affinity groups is something Steve is very passionate about. Steve has been using Minecraft extensively in his classes for the past five years. His students create games in Minecraft and incorporate command blocks, redstone and coding in order to automate functions in their games. Steve has been very involved in the greater Minecraft community as a Global Mentor since the program was piloted with 5 mentors around the world. The program has grown over the past three years to a community of over 300 educators across the globe. Steve is the lead content producer for Minefaire, a Massive Minecraft Fan Experience, and the only Official North Minecraft Community Event in North America. "I am committed to using a choice-based approach to learning that allows students to find and nurture their passion. Game Development allows students to leverage their interest and expertise in incredibly creative ways while engaging in the iterative design process. Additionally, I believe that students should play an active role in their learning and share their work to an authentic audience. Student choice, student voice and co-learning are at the center of all of my learning goals." Whether you’re new to Minecraft or a longtime fan, browse these videos to find advice for playing the game in your classroom. Minecraft: Education Edition offers a vast array of lesson plans across subject areas, for students of all ages. Of course, we recognize that no single resource is one-size-fits-all. We encourage you to use this activity as inspiration, adapting the recommended lesson to suit your particular instructional goals. Try This Lesson With Your Class! The student becomes the teacher in this lesson. Pairing building skills with the ability to craft clear instructions for others to follow, it requires thoughtful planning and clear communication for a variety of audiences. Head over to Minecraft: Education Edition to browse hundreds of other teacher-tested lesson plans. This climate-conscious challenge asks students to come up with new solutions to age-old problems. Critical thinking skills are put to the test as an oil-dependent city is transformed into one that uses alternative energy for a sustainable future. Students must confront real-world concerns with thoughtfulness, compassion and creativity in this lesson. How will they respond to a call for help from eight Minecraftian families in need? This exercise is a great way to encourage reflection on what it means to be an active member of a community—whether real or virtual. Allow your students to explore their fears and hopes along with the desire to feel connected to others. Students can take charge in this interactive exploration of human biology. Collaboration, communication, creativity and critical thinking—this is a one-stop shop for the development of critical skills. Turn free play into a productive tool for self-reflection that promotes evidence-based reasoning. Before collaborative play can begin, consensus must be reached among players and an essential agreement drafted to ensure fair play for all. This reflective activity asks students to craft a special place to store their thoughts and ideas. They will use their full toolkit of self-identity resources to design a personalized "Mind Palace" that accurately depicts their inner selves. This is an exercise in the responsible creation of learning spaces and engagement with a full community of stakeholders. Working to improve a portion of their school environment, students must consider how social and environmental factors influence design. An engaging exploration of diversity and equity, human rights and civic responsibility, this activity has students examine gender roles across all sectors of society. Ultimately, their collaboration should achieve equality for all members of their community. Visit https://education.minecraft.net/ to prepare your students for the future.